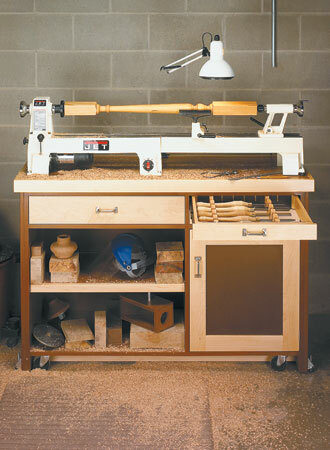 There's just something special about having a nice place to store your tools. 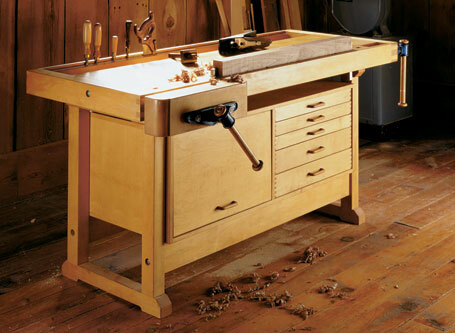 In addition to keeping your most-used tools organized and within easy reach, it makes the time you spend in your shop more enjoyable. 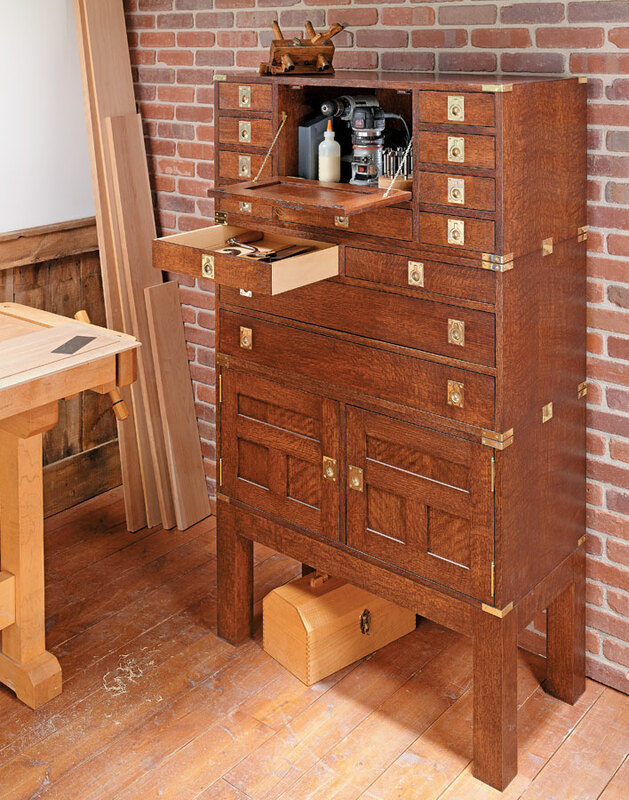 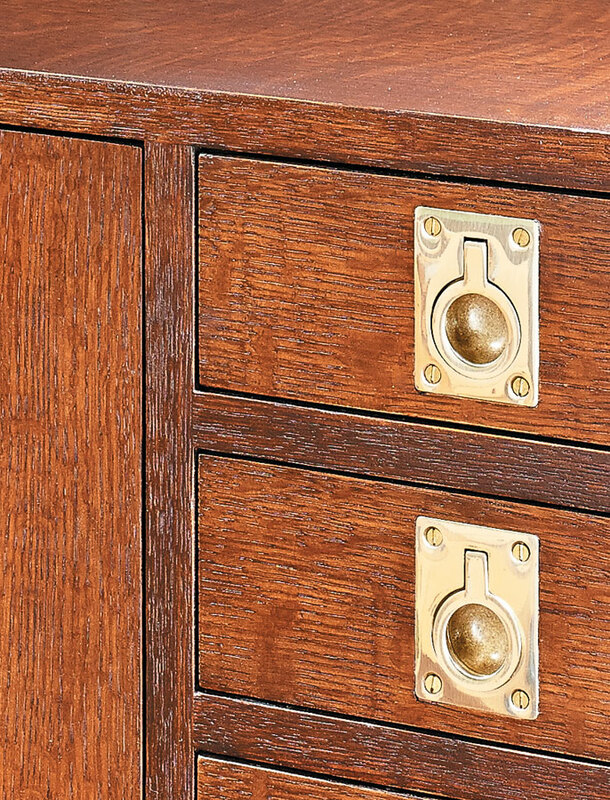 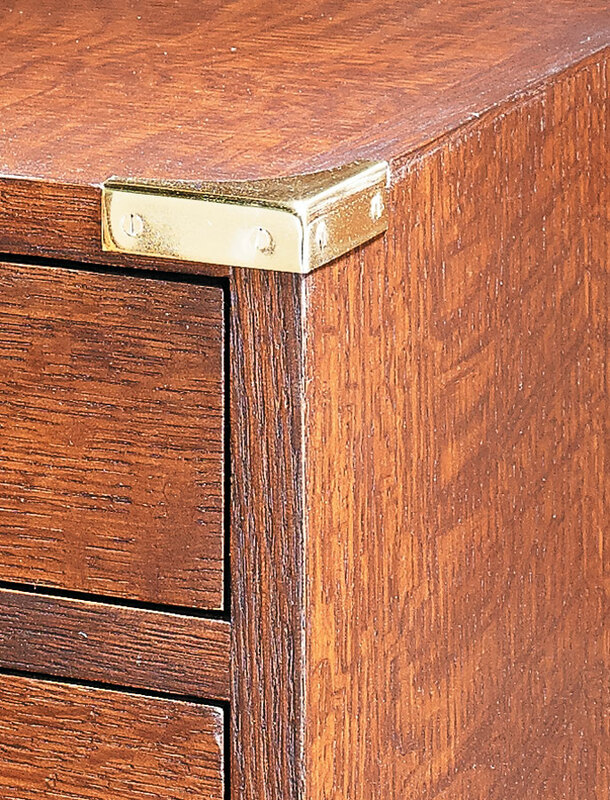 This cabinet is based on 19th-century campaign furniture. 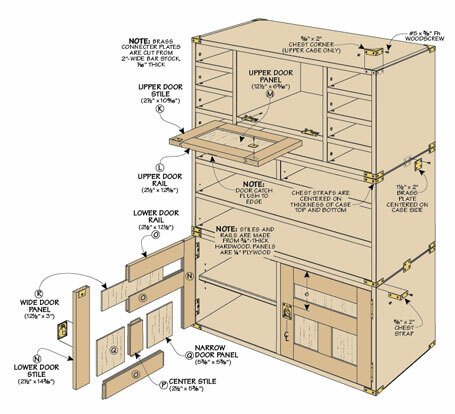 These rugged, modular cases could be moved easily by military officers. 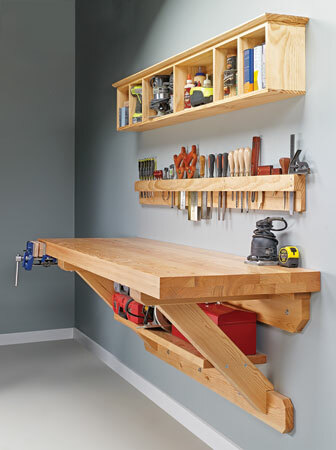 While you probably aren't on the move, no doubt your shop could use this kind of efficient storage.